Fall usually only lasts for a few weeks here in Edmonton and this year it was cut even shorter by an unexpected dump of snow in early October. 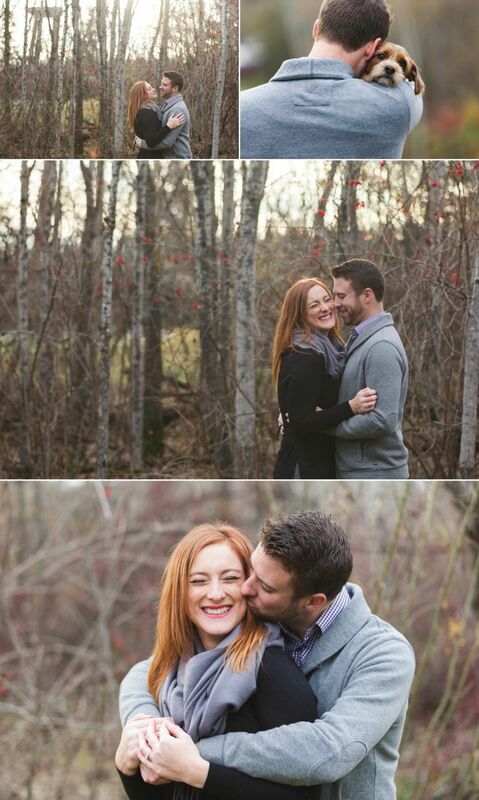 The cold weatherÂ resulted in a few family sessions and engagement sessions being postponed in the hopes of a return toÂ warmer temperatures. 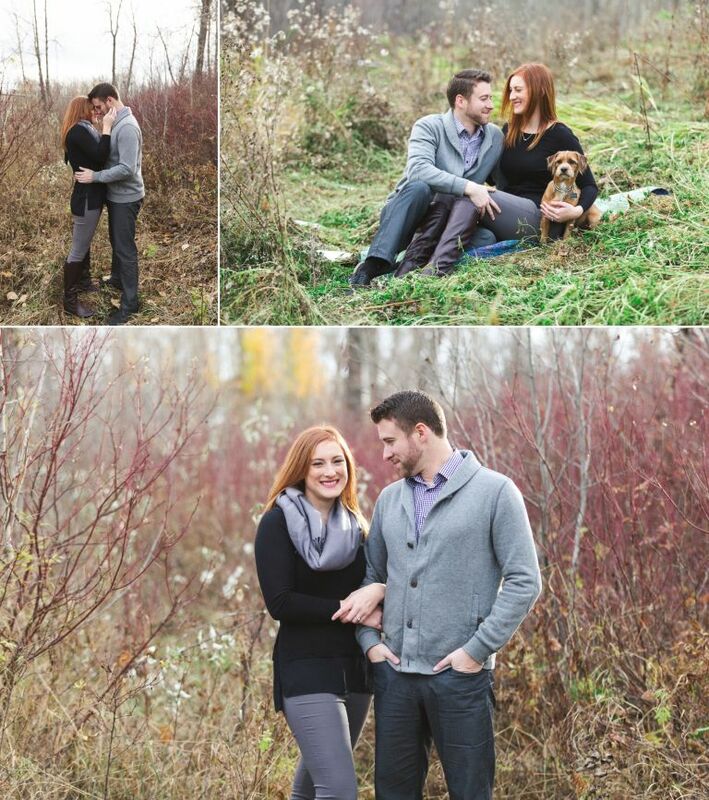 That finally came towards the end of October but unfortunately the early snowfall took out all of the beautiful leaves but that didn’t stop us from having a great session with Melissa, Jesse, & their fur-baby Radar. 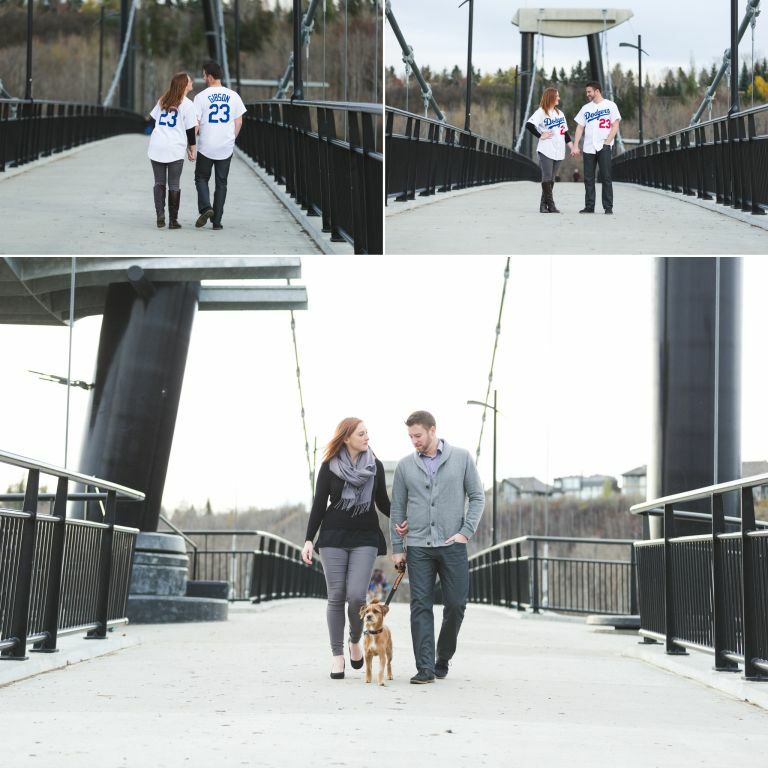 Melissa & Jesse met online and one of their first dates was at the Fort Edmonton Footbridge so that was where they wanted to do their engagement photos. 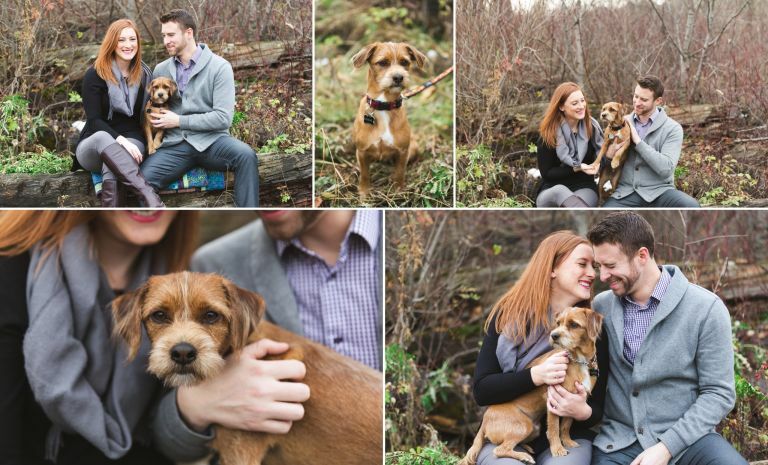 They brought along their adorable fur-baby Radar who got in on some of the photo action. Their shoot also included a beautiful quilt that Melissa’s mom had made and jersey’s from their favourite baseball team – the Dodgers who unfortunately came close but lost to the Chicago Cubs in the World Series. 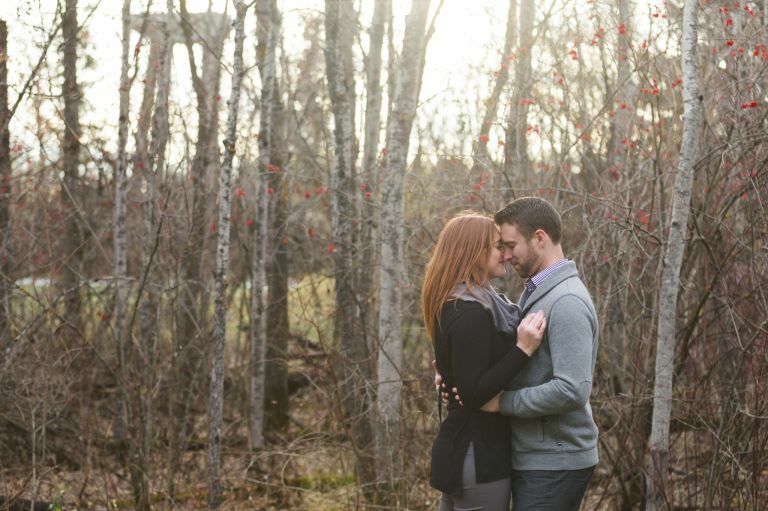 Enjoy this sneak peek from their fall engagement session and stay tuned to the blog for photographs from their wedding taking place next August!